May is Mary's month, a month we pay special attention to the rosary. The Ascension is on of the Glorious Mysteries of the Rosary. 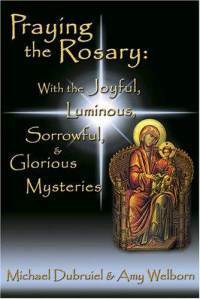 Check out this small hardbound book by Michael Dubruiel and Amy Welborn, Praying the Rosary. Click on the cover for more information.